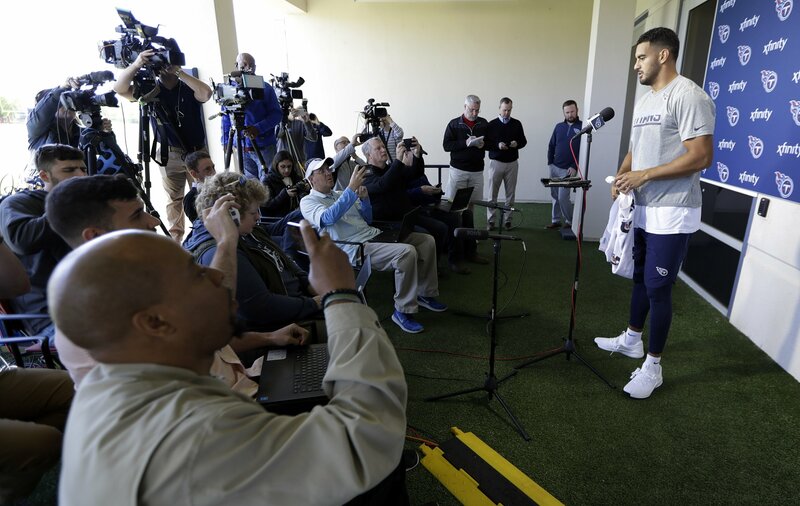 Music City and the NFL are throwing quite a party for the draft, and the Tennessee Titans will be a couple of miles away at team headquarters quietly biding their time until hitting the clock. Looking forward to the 2019 NFL Draft? Here's an updated mock draft with our latest projections. The story of Nashville's path to host the NFL Draft mirrors the Titans arrival in Tennessee, it's one of unwarranted faith and unwavering confidence. What are the Titans' most glaring needs heading into the draft? Here are some intriguing options to consider at No. 19 overall. The new Packers coach says he’s off to a good start with his Hall of Fame QB. Plus, Russell Wilson’s contract situation, draft risers and sliders, and more. Chiefs Wire takes another shot at predicting the first round of the draft.